More than two decades ago, doctors at the University of Chicago Medicine decided to focus their efforts on treating diabetes in children and teens. Since then, our experts have helped young people with all types of diabetes, including rare forms of the disease. In 2018, we were nationally ranked as a top children's hospital for diabetes and endocrinology. Our team of specialists provides holistic care to address the physical and social challenges that children and teens with diabetes may face. Physicians, nurses, staff and educators offer comprehensive medical support as well as programs designed to help patients live happy lives and effectively transition between infancy, childhood, young adulthood and adulthood. We also work with patients' siblings and families. 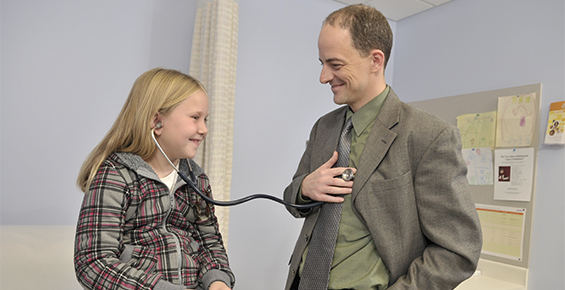 Comer Children’s pediatric endocrinologists are experts in a wide range of endocrine disorders. We can help provide comprehensive diagnosis and advanced treatment options for your family. 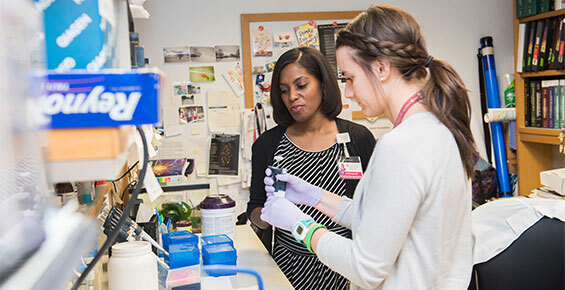 Our physicians are committed to offering clinical trials at Comer Children's that give our patients access to new treatment and therapies that are not widely available.